Evidence has shown that mental health is fundamental to physical health, economic success, and general well-being. Yet, we know that mental health and substance use disorders account for approximately 10% of the total global burden of disease, and few countries devote resources to the promotion of mental health and to the prevention and treatment of these disorders. Across the globe, the treatment gaps for mental health and substance use disorders are large. As a result, many people who need care do not receive it. Further, people living with these conditions often suffer systematic discrimination in many facets of their lives. The current #GAinFocus series examination of the Lancet Commission on Global Health and Sustainable Development (October 2018) and its potential impact for behavioral health and social justice. Be sure to look out for the emails included in the series and check out our page on the commission to learn more. In 2016, the Global Alliance formed a task force to help us discern how we can best support efforts to promote mental health across the globe. In 2017, the Board of Directors for the Global Alliance approved a resolution on global mental health and substance use disorder developed by the task force. In 2019, the task force will be presenting a panel session at the Society for Community Research and Action's biennial conference, which is being co-sponsored by the Global Alliance. 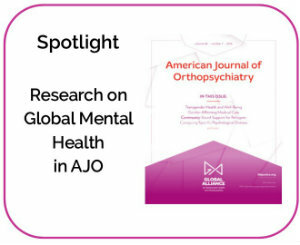 Our Spotlight features research in AJO on global mental health. Learn more about the mental health challenges faced in countries across the globe and share what you have learned with others. 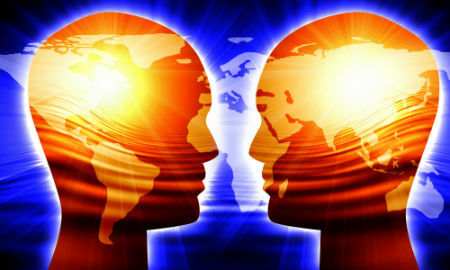 Support organizations that address global mental health. Join in the World Health Organization's promotion of World Mental Health Day on October 10.